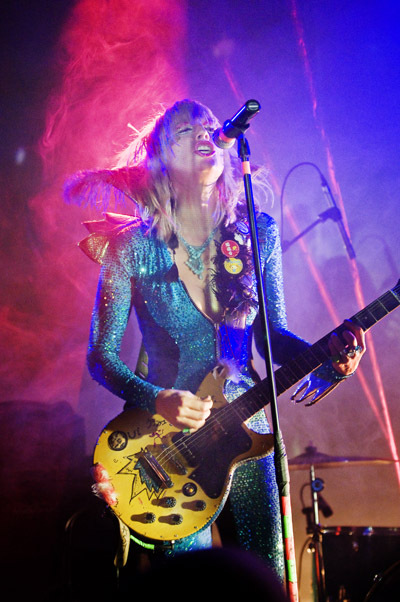 Friday night, the spark-plug of a singer, Kate Crash, assaulted the Echoplex using every bit of the stage during her electrifying performance. Compared as Iggy meets Bowie with sick dance moves, Kate Crash is better described as 'controlled chaos.' 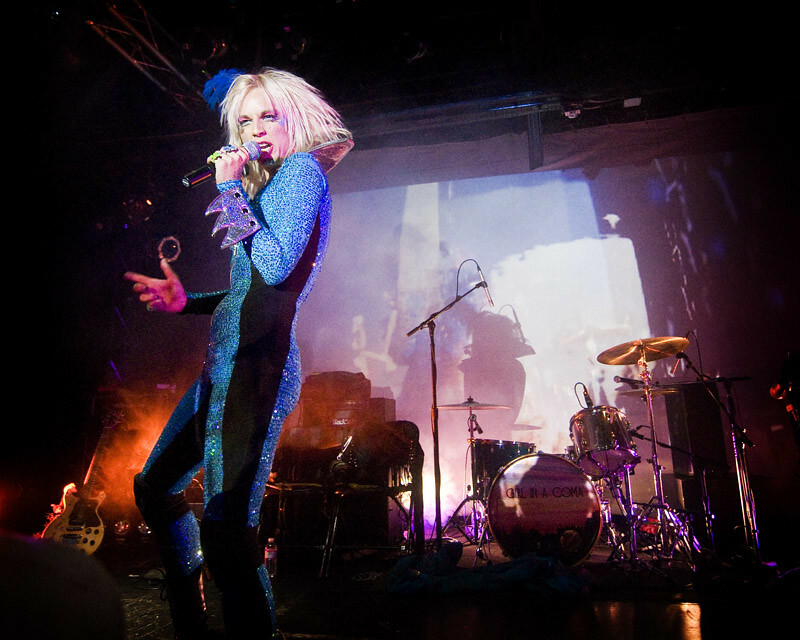 Onstage, she colorfully paces the stage like a caged animal wanting to break free, grabbing your attention with dramatic flourish while injecting you with laced doses of glam-rock and clobbering dance beats. Kate Crash opens up for Girl in a Coma at the Echoplex. Recently signed to Joan Jett’s Blackheart Records, the LA-based singer just released her debut EP My Zombie Nation. 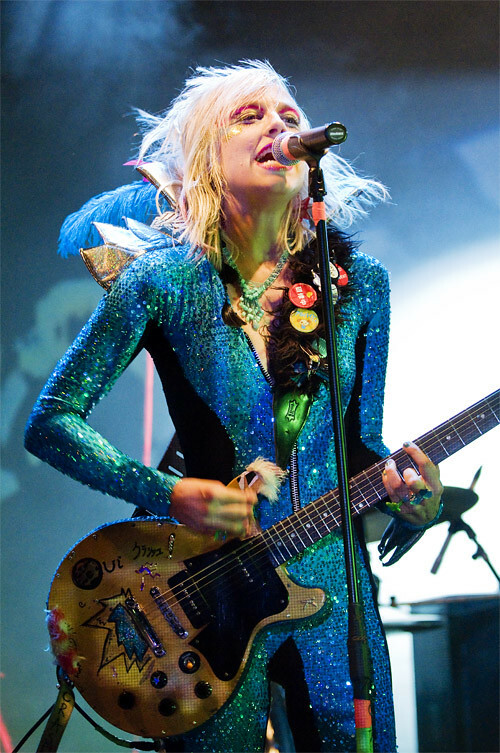 In it, she bursts open her blinged-out music box and injects torching guitars on “Generation of the Bored” and "Ain't Got Much" then lavishes with razzle-dazzle melodic landscaping on songs like “SAWAGO” and "Yummi and the Sound." But it’s her stadium-ready, rock-anthem “Walk My Own Way ,” which was released as a single earlier this year, that makes you want to rebel and pump your fists in the air singing, "I don't care what they say, I'll do it my way. I don't care what they think. 'Cause I'm the real thing!" And with that, you begin to realize there's a reason behind all this madness that is Kate Crash. Kate Crash performs again tomorrow night (Dec. 8) during the LA Downtown ARTWALK at The Hive Gallery and then at The Factory on December 21st. Both are FREEEEE. Official video for "Walk My Own Way" by Kate Crash.